The US National Teams are important to us and we are going to make a positive difference. Second, we will work to shine a light on the USSF process, as well as give a platform for change, with this member engagement. We want to focus on this to elicit change before we take further action. We have extended invites to all candidates to address our membership via questionnaires, live video chats, and provide feedback via comments and straw polls. See below for a full schedule of forums and completed questionnaires. Each candidate will have the opportunity to take LIVE questions from American Outlaws members during our Q&A forums. So far seven of the eight candidates for USSF President have provided their answers to our members’ issues questionnaire and six have appeared before our LIVE member forums. Mr. Codeiro will not be appearing before our LIVE forum and Mr. Paul Caligiuri has not provided a questionnaire or forum date. At this point our candidate windows are now closed and we will shortly be polling our members. 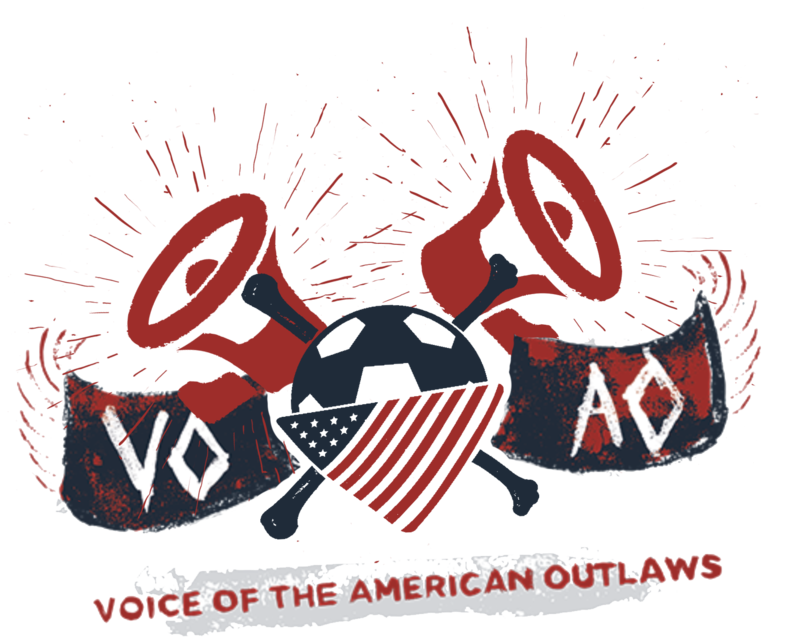 NOTE: The American Outlaws will NOT be making a organizational endorsement, but we will make available the results of our member straw poll and select quotes from our members on why they voted the way they did. Where will the election take place and who can attend? Besides candidates, delegates and alternates, and invited guests and media, members of the public can attend the National Council Meeting at the Renaissance Orlando at SeaWorld. They will need a ticket, though, and they will be in limited supply. They will be free of charge and offered on a first-come, first-served basis. Details will be provided in the days prior to Feb. 10. What is the voting structure? — By Federal law, athletes of any national governing body (U.S. Soccer’s Athletes Council) get 20 percent of the vote. — The three other Councils (Youth, Adult and Professional Council) have equal shares of the vote. — The equal one-third shares of the three other councils are slightly diluted by the single votes of miscellaneous members: national associations and affiliates,board members, life members (up to 12 total votes) and as of 2018 two fan representatives. Note: 2018 percentages will only vary slightly. What’s the allocation of delegates for the four councils? Youth Council. At the 2017 National Council, U.S. Youth Soccer state associations received 2-6 delegates based on the size of the associations (registered players). U.S. Club Soccer and AYSO received 36 votes. (They also get votes as members of the Adult Council.) Up the eight commissioners are also delegates. Adult Council. At the 2017 National Council, U.S. Adult Soccer state associations received 1-5 delegates based on the size of the associations (registered players). Six other affiliates had 1-4 delegates. Up the eight commissioners are also delegates. Professional Council. There were 13 delegates at the 2017 National Council: eight from MLS, two each from the NWSL and USL and one from the NASL. (One delegate did not attend the meeting or vote as part of Professional Council.) There will be 16 delegates in Orlando. NASL has objected to the proposed allocation of delegates. Athletes Council. Only six of 20 athletes attended the 2017 National Council Meeting as Athletes Council delegates. — To give equal weight to the votes of the delegates from the three non-Athletes Councils, the multiplier is 1 for the council with the most delegates, and the multipliers for the other two councils are the number of delegates from the council with the most delegates divided by the number of delegates of each the other two councils. — To give the Athletes Council 20 percent of the vote, the weighted vote totals of the three other councils plus the miscellaneous members are added together and divided by four. That weighted number is the total votes the Athletes Council gets, and the multiplier for delegates on the Athletes Council is the weighted number divided by the number of delegates in attendance. Total: 1,134 votes –> 568 simple majority, 756 2/3 majority. Who had the most votes in Maui? 42.16 AYSO and U.S. Club Soccer. 38.00 Each of the six athletes. 13.70 Cal South and Texas North (largest joint state associations). ((TWV/.8) – TWV)/AD rounded off to two (2) decimal places. TWV=total weighted vote of all non-Athlete delegates; AD=Athlete delegates. — An individual can cast all or part of an organization member’s votes having more than one vote so long as that share of the total votes is not more than 2 percent. — Delegates must vote in person (no proxies). — Delegates must vote in only one capacity (delegates with multiple roles would include board members, life members and commissioners). — Information on the delegates is not available to the public. To receive updated lists, candidates are required to indemnify the federation that they won’t be used for any reason other than the election. — Tabulating the votes after each round of balloting. Besides the electronic keypad vendor whose job it will be to program the keypads and make sure they are working, an Independent Accounting and Management Consulting firm has been hired to perform monitoring procedures. Chair: Bob Kepner (N.C. Adult Soccer Association, former president). Members (one from each council): Dimitrios Efstathiou (MLS/SUM VP, Business & Legal Affairs). — Tony Falcone (Md. State Soccer Association, president). — Siri Mullinix (Clemson Univ. women’s assistant coach, former U.S. international). — Kathy Zolad (Conn. Junior Soccer Association, former president). 1. Each delegate uses the keypad with numbers 1-8 to vote for his or her candidate. The keypad is programmed to take into account the delegate’s voting strength. 2. If no candidate has a majority — 50 percent + 1 — of the weighted vote, there will be a 10-minute break or “caucus” session for candidates to meet with their supporters, and a second round of voting takes place. 3. The election will continue with as many rounds as necessary until a candidate gains a majority of the weighted vote. The voting process for USSF President is, to put it nicely, convoluted. It isn’t entirely clear who gets what percentage of a vote, or who the electorate includes. But Dan DiCicco did a great job breaking down what we do know in his article here. Based on that, we’ve compiled Twitter handles and publicly available emails for influential figures who have a vote in 2018. Contact them and let them know you want to see change at the highest levels of US Soccer. Make clear the issues that are important to you, or a particular candidate you think they should support. You have a powerful voice. Make sure it’s heard. As someone with a vote in this years USSF Presidential election, you have a tremendous opportunity to move soccer forward in this country. I’m a passionate supporter of US Soccer, and I implore you to vote for a candidate that will enact grassroots level change, take supporters concerns into account, treat them with respect and work relentlessly to make the US a global power in the sport. This February, I humbly ask that you take these issues into account during such a vital time in American soccer history. WITH RESPECT, POSITIVITY AND PROFESSIONALISM let those with the power to make positive change in USSF know what you care about and how USSF can move forward from a fans perspective.